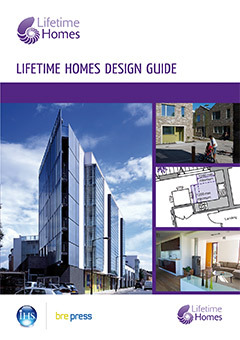 Establishes guidelines for the construction of fire resisting structural elements and includes tables of notional periods of fire resistance based on experimental test data; it also makes revisions to tables and text concerning concrete, masonry and timber included in the earlier 1982 edition. 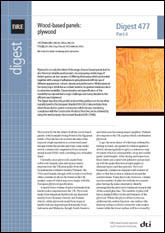 39 pages. 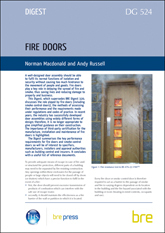 Whilst this publication has been archived and there is no update, it remains a document referenced in Approved Document B and is still a useful source document for the fire resistance of commonly used structural elements. 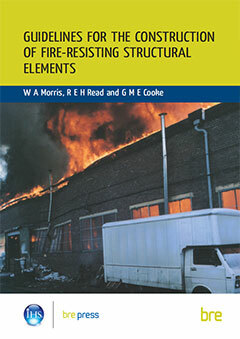 It is a useful source document for the fire resistance of historic forms of construction.